Get 20% off tickets to Five Encounters On A Site Called Craigslist by quoting 'aliveafterfive' on Eventbrite. Alive After 5 has teamed up with Theatre Deli to offer 20% off tickets to Five Encounters On A Site Called Craigslist, a five-star rated show coming to the Eyre Street theatre on 8 February 2018. 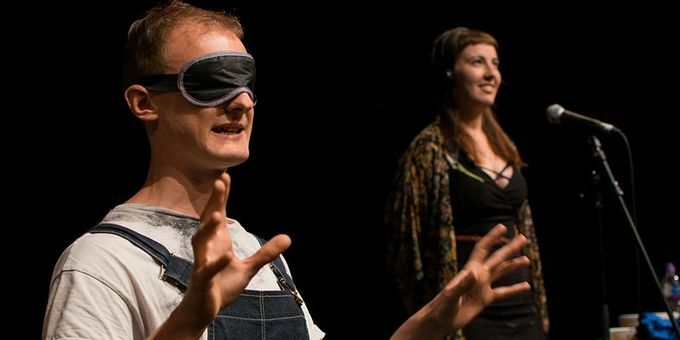 This one man show by the award-winning YESYESNONO theatre company tells the story of Sam, and five encounters he has on a site called Craigslist. Sam is anxious about the way he gets to know people. About the way he self-sabotages his attempts to communicate and reach out to those around him. Sam wants this to be a chance for you to get to know him. Five Encounters on a Site Called Craigslist is performed by one person, who needs an audience to tell his story. It’s a show that, in exploring this one person’s self-sabotaged attempts to know those around him, considers the extent to which a group of people in a darkened room can ever get to know each other. To enjoy 20% off tickets to Five Encounters on a Site Called Craigslist, enter the code ‘aliveafterfive’ when buying tickets through Eventbrite.